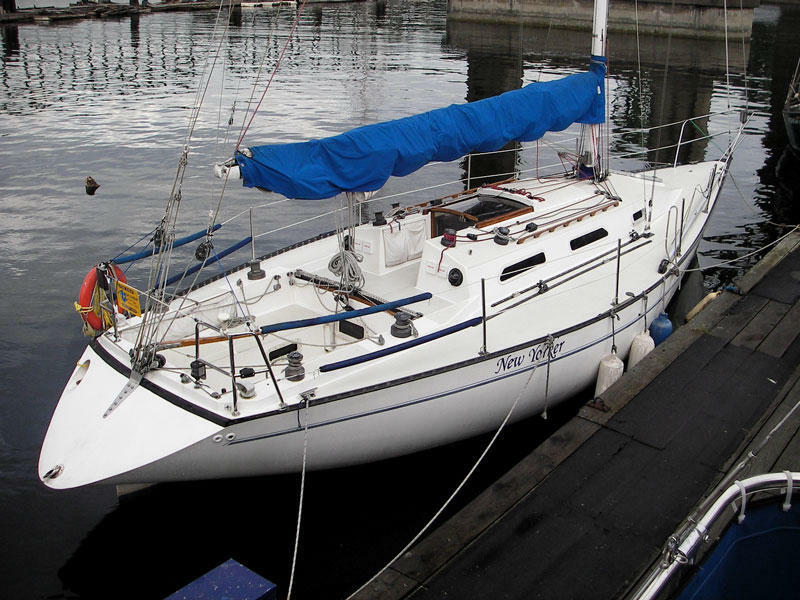 A high performance cruising yacht, the Schock 36 New York was designed by architect Bill Cook and was built by the W.D. 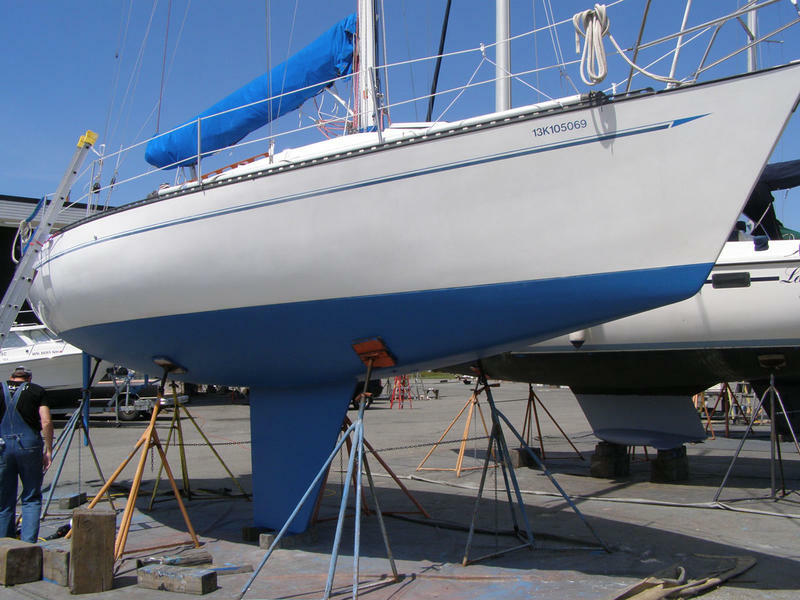 Schock Corp. in 1981 as a one-design cruiser/racer for the New York Yacht Club. 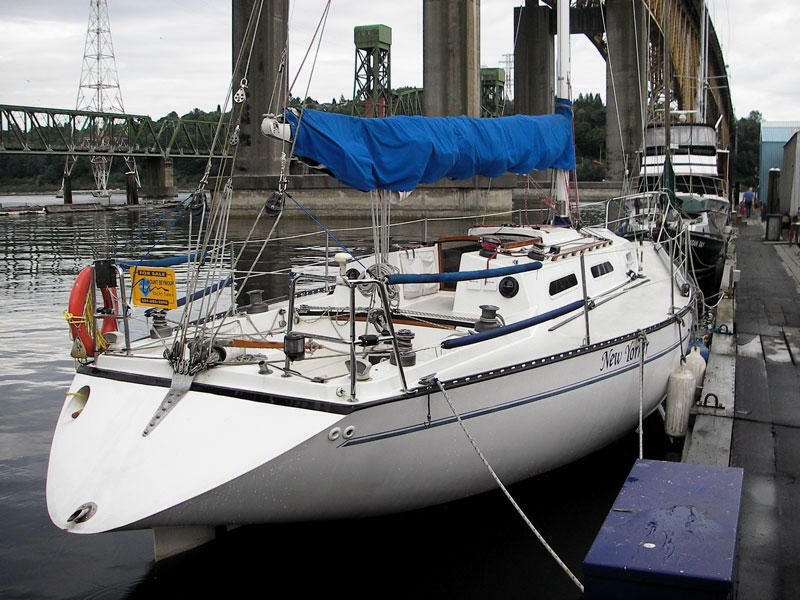 “New Yorker” is well equipped for both cruising and for club competition (PHRF 108). 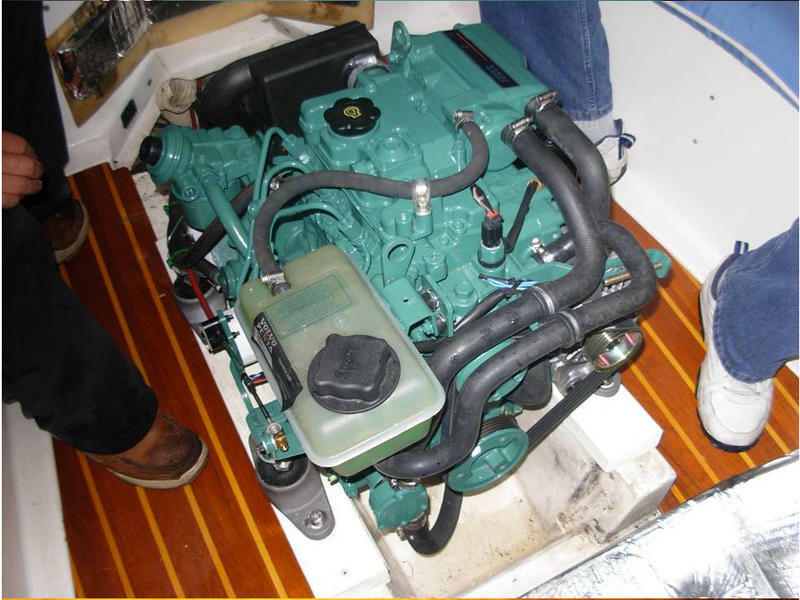 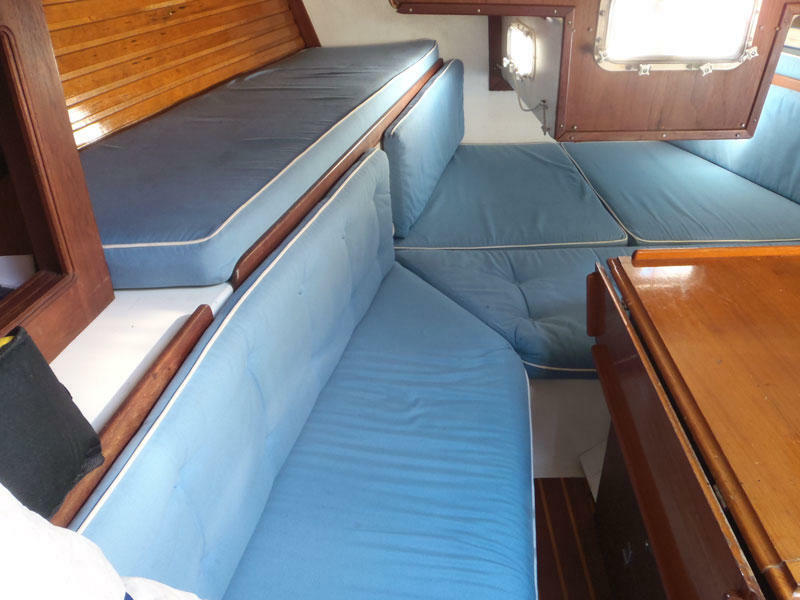 The boat is in great condition throughout and is fully ready for a passage of any length. 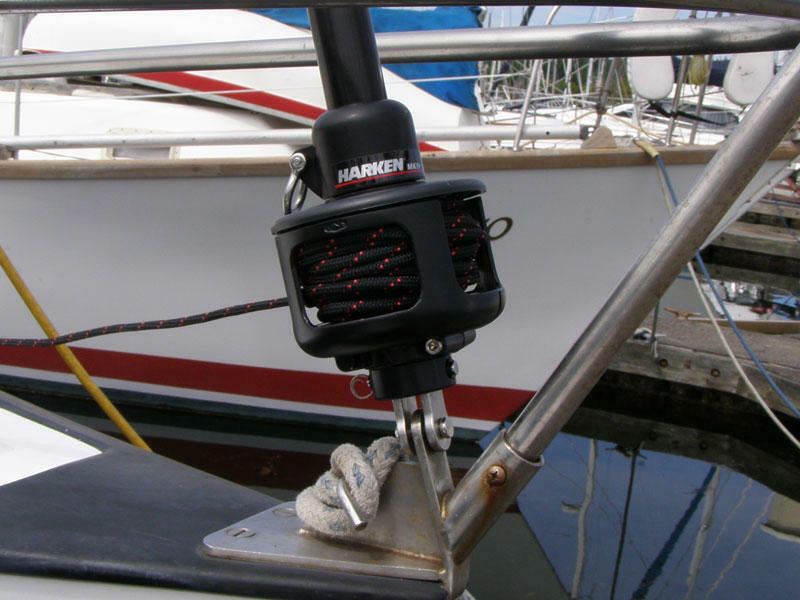 Recent upgrades include new Harken MKIV furling system with removable drum for racing, new tiller, new electrical and manual bilge pumps, new Jabco marine toilet pump, new raw water filter. 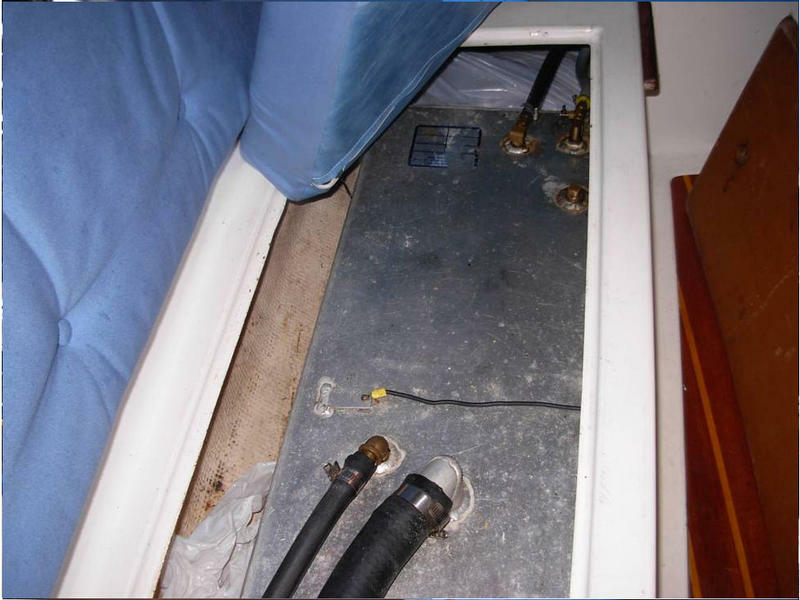 Last survey was done 2007 with no problems detected. 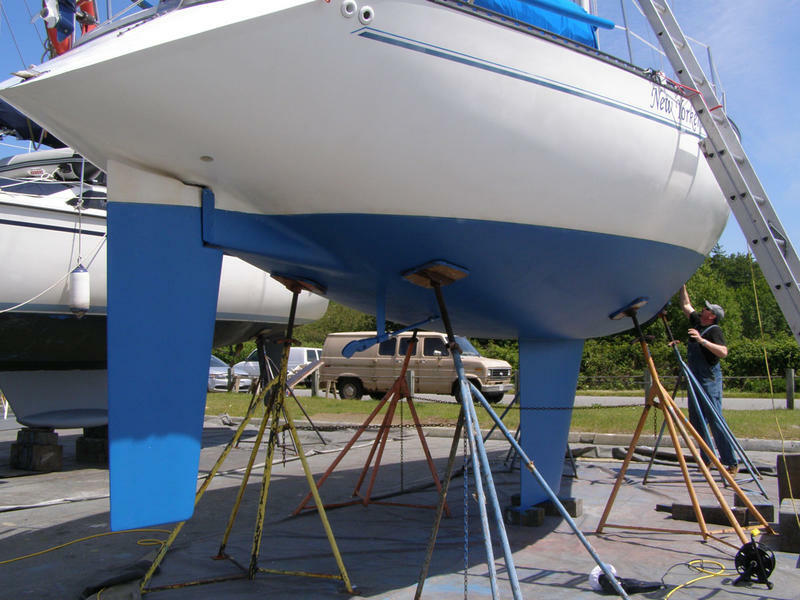 Fresh Interlux bottom paint was done June 2011. 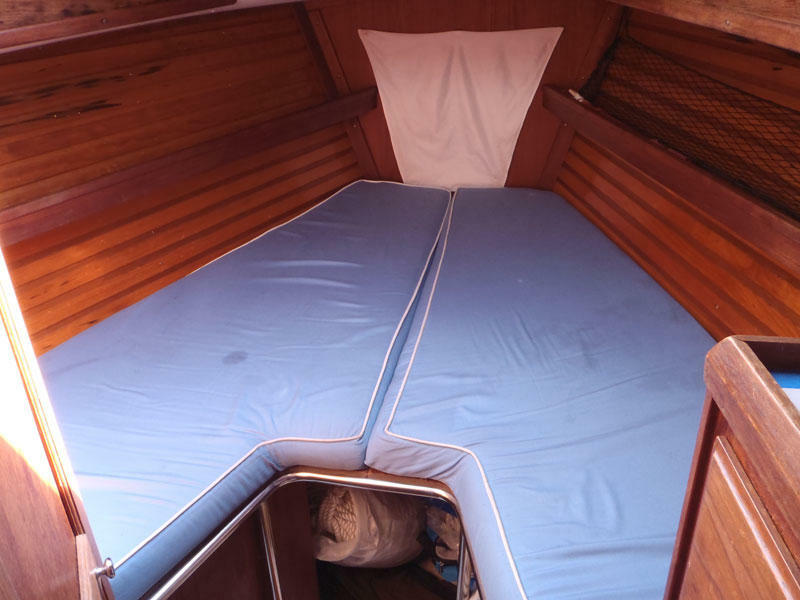 V-Berth forward with storage below and large overhead hatch. 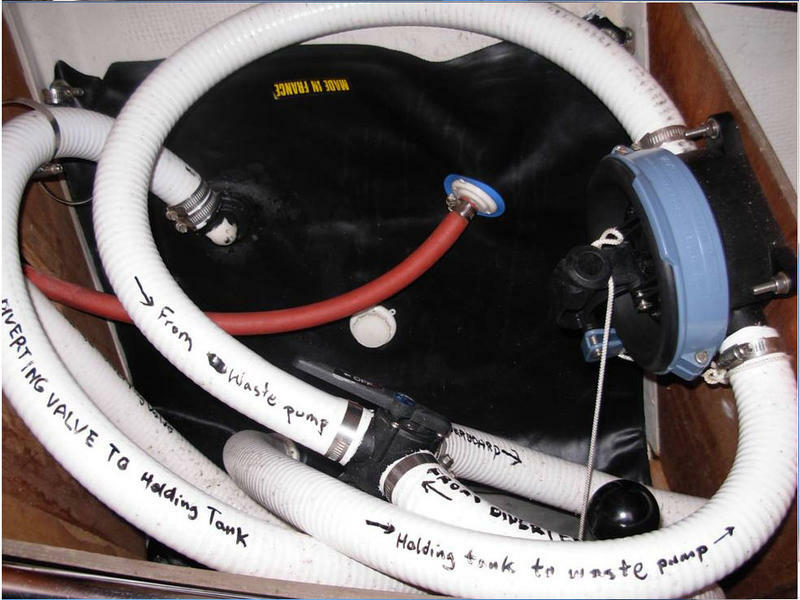 Enclosed head aft to port w/manual head. 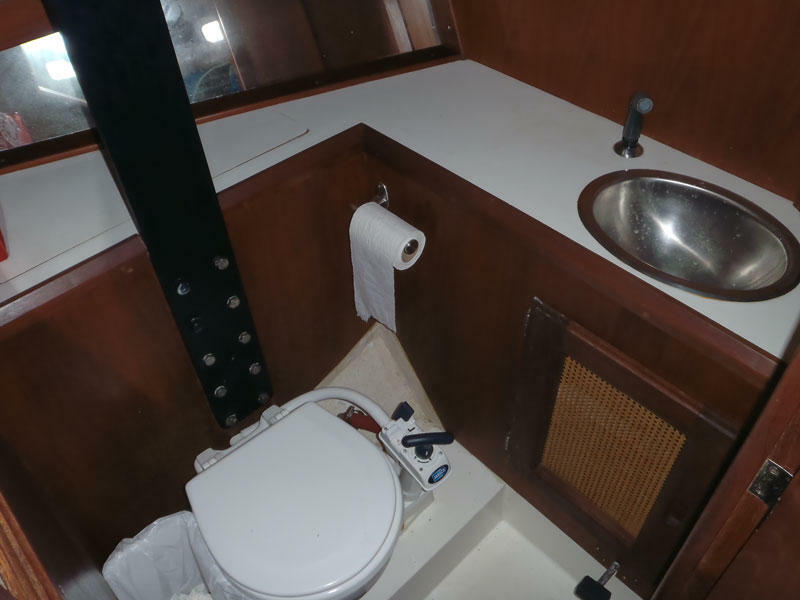 Large hanging locker to starboard. 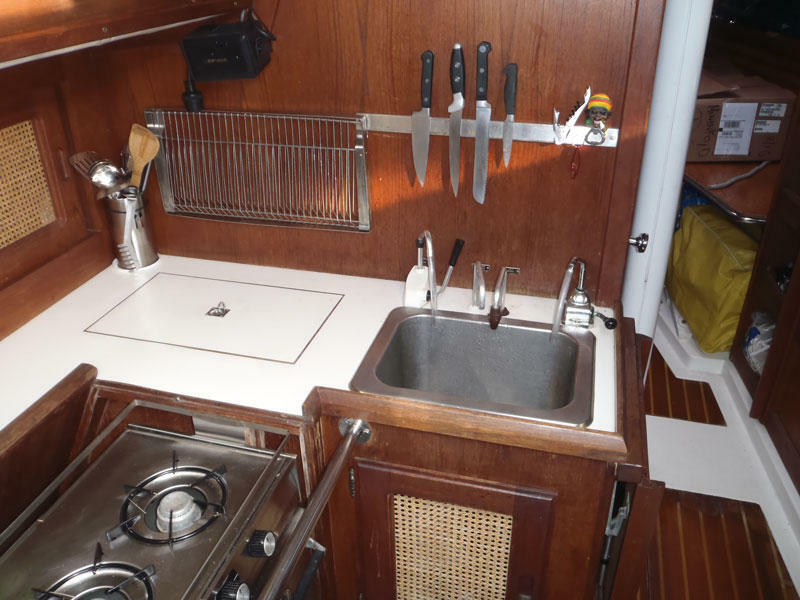 The salon has the L-shaped galley forward to port with SS sink, 2-Burner LPG stove w/oven and top-loading ice box. 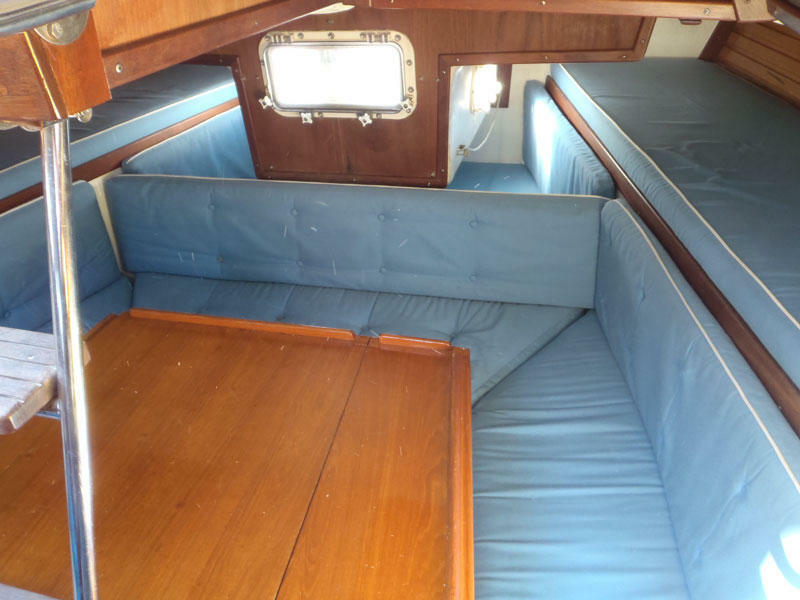 The Navigation station and settee to starboard.